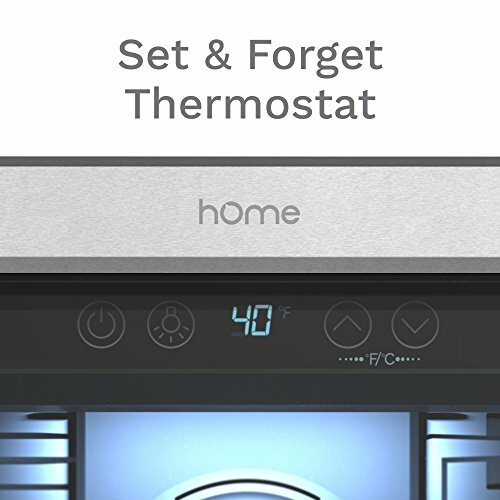 AUTO DEFROSTING FUNCTION - Beverage cooler is also designed with an additional temperature sensor for auto defrost mode. External size: 18.87" W (front across) x 33.25" H (top to bottom) x 17.30" D (front to back). Internal size: 16" W x 29" H x 12" D. NOTE: Images show EXTERNAL Dimensions rounded UP to nearest decimal. 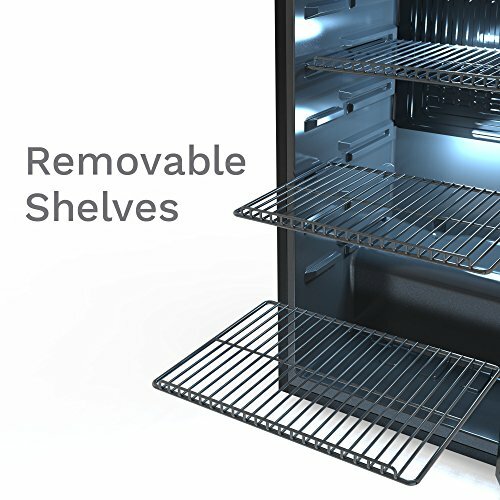 Warning: Do not use this cooler to store fresh foods, such as meats, vegetables, fruits, etc. This product can only be used to chill beverages. Spruce up your style and enjoy the luxurious convenience of this hOmeLabs Stainless Steel Beverage Cooler. 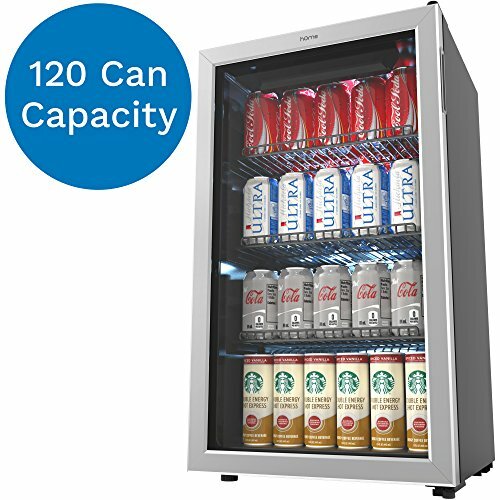 The coolest solution if you don't have room in your fridge or freezer for a variety of entertainment beverages during indoor or outdoor parties. 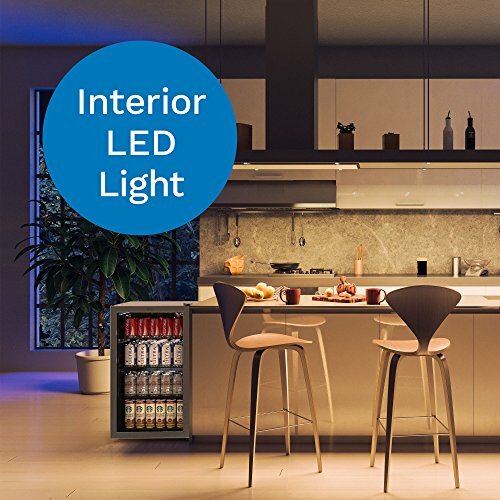 Equipped with high quality, durable materials and rack accessories with an elegant decorative finish that greatly matches and lights up any kitchen, room or office decor. 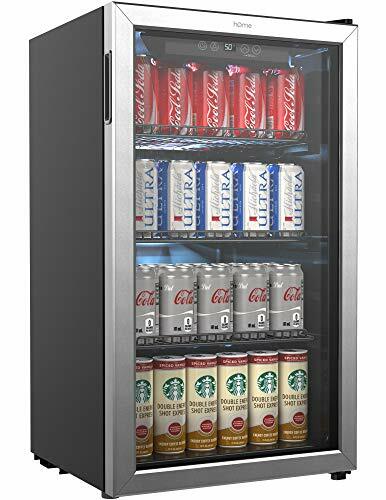 This 3.2 cu ft, electric beverage cooler has a silver and black finish and a large capacity interior to conveniently hold your various wines, beers and other drinks. 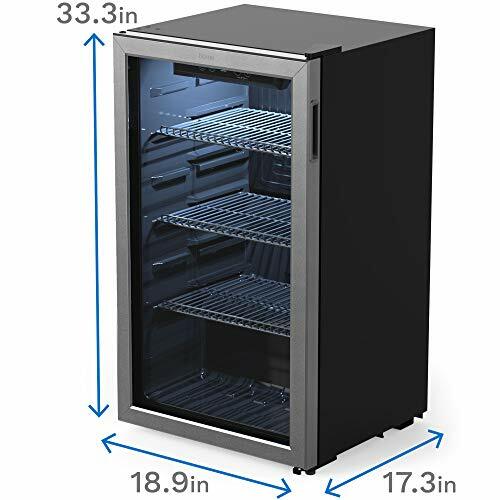 Smartly constructed with a powerful cooling compressor and small fan for consistent and uniform air circulation, which can chill your beverage faster than other coolers, chillers or refrigerators with freezers. 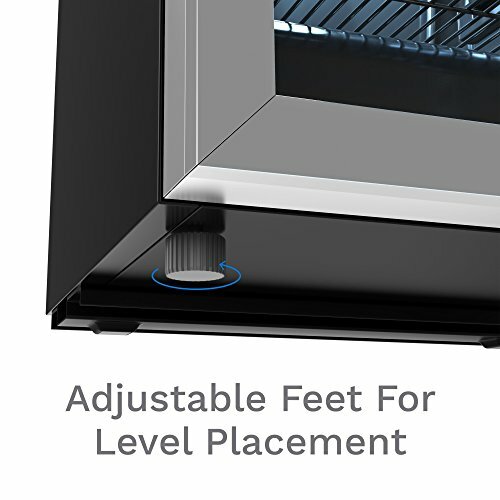 With adjustable feet for level placement and advanced one touch, user friendly cooling controls, this beverage cooler is a useful necessity for any party or living space.